No matter what age you are, or what age group you’re in, there are going to be those unavoidable sets of ups and downs. There are going to be times when you feel that you need to use that old outdated “stale” photo, which features you 5 years younger and 10 pounds thinner, so you feel that your senior dating profile will get more views and attention. There might be the instance where you have someone that you’re interested in, who you discover is only interested in asking how much money that you have, and there’s always that one who will tell you how great and wonderful you are, only to drop off the earth and disappear one day. Despite all these negative instances that occur, there are now so many senior online daters who have been working to achieve a happy relationship and find their soul-mate. Even though many admit that they have not had immediate luck or success and finding their true love by using this medium, many will agree that is has been a valuable and worthwhile experience. Why is this the case? The main reason behind this is that so many mature singles are now looking to the expanse of the Internet, and this makes finding the odds of stumbling upon that certain someone much greater than previously anticipated. As seniors continue to expand with their technology skills, so will their forays into online dating. There are so many great free resources out there on the Internet that offer dating advice, guidance and a how-to on senior dating, that it no longer has to be a complete mystery for seniors to get involved in online dating. And now that their children and grandchildren are using technology and Internet dating as an outlet, more seniors are being exposed to this form of a dating outlet, and can look to their relatives for guidance on setting up their dating profiles. 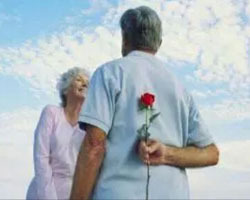 The more that middle aged and twenty-something’s find their true love using online dating websites, the more likely that seniors will be to turn to this outlet to meet that special someone. The more seniors that use the site, the more that these online senior dating websites will begin to be used, both nationally and globally. The more seniors that use the site, the wider selection and the odds will be that you’ll find a successful pairing that will make you happy in the long term. And don’t think that you’re going to be the only senior on a site of much younger people! There have been many online dating sites that have seen a big increase in the membership and involvement of those who are seniors, and found that they are the segment that is by far growing the fastest in the online dating market. This is due to the push for more technological advancement, and it allows seniors who may not have the most mobility to still interact with others and have a dating life without having to fully sacrifice your time and travel.